Teachers and parents might perceive the Internet as the opponent of traditional books, but in reality the Internet complements the concept of reading books quite satisfactorily. With numerous websites dedicated to education and reading, it becomes easier for children to bond with distant readers, gain insights about what they are studying, and find out additional books of importance. Furthermore, they present innovative ideas that teachers can share in their classroom. One of the leading reading websites on the Internet, Goodreads is an excellent tool for school students. It allows students to keep a record of books they have read or are reading and observe what their buddies are reading. The site also recommends books to readers on the basis of their reading preferences and kids can maintain a catalog of books that they wish to read. Goodreads does not consent children below 13 years to operate the site. It is possible for teachers to create an exclusive group for class students to talk about books or compose book-related questionnaires for students. Many students like sharing online better than sharing in class and thus reading turns into a more active experience when several students start exchanging opinions with their each other. Let students write a review for a book on the website or make quizzes on their own in relation to a topic they read. Book Wizard from Scholastic is an all-inclusive web source for both teachers as well as students. It offers list of books by grade and subject, book critiques, and propose activities and tutorial ideas for books to students. The site enables students to peruse the writer segment in order to discover how their adored illustrators and authors embarked on their journey. The search feature of Book Wizard is absolutely wonderful for librarians and teachers. Type in a book name and the site will automatically supply the synopsis, reading level, writer biography, and links to other free reading sources. You may also type in a name to seek out related books that are simpler or more sophisticated. Forward the website to parents so they can come upon appropriate books for their wards. BiblioNasium is quite similar to Goodreads in the sense that it allows students to keep a track of books they read, other books they wish to read, and time spend on reading every day. The users can also check out what their buddies are reading. The readers can search books for their choice of genre, reading level, or a writer. BiblioNasium is a superb means to motivate children to read. Teachers can utilize the site to post reading challenges to class students and even their parents. You can exploit the site to foster children to study books from a different genre or to add to the hours they devote on reading. To increase their interest, you can organize a challenge among classes to distinguish which can study extra books. Unlike other sites, BiblioNasium is open for younger readers. Common Sense Media book catalogue is possibly the friendliest list that is available for the teachers. Spanning a catalogue for unenthusiastic readers as well as for fans of ghost tales, Common Sense Media picks premium books and catalogues texts based on age-appropriateness. Click on books in the list to search out extra information, together with discussion points and synopsis. Explore the review section of the website to stay ahead with the choicest and latest books. 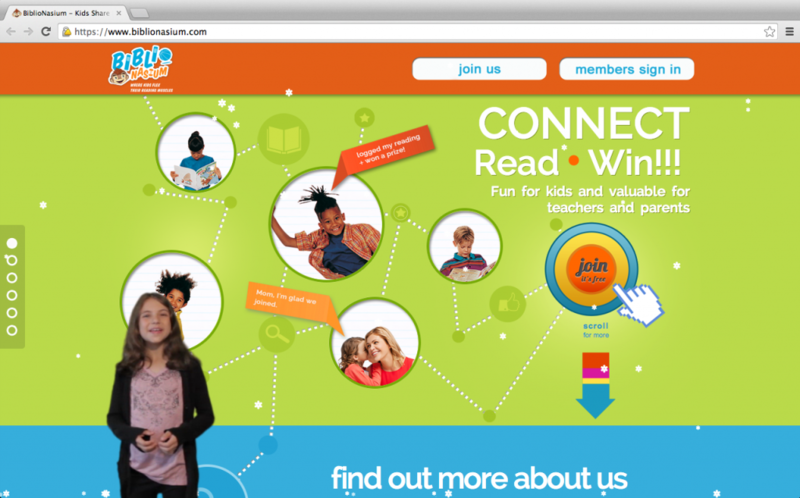 Employ this website to locate books, question learners, and award hesitant readers. Kids from playgroup to 8th class can respond to questions for texts they already read, while teachers or parents review the answers. Students gain points for answering the questions correctly and inch closer to prizes. Teachers can trace the number of text books students read and check their performance at the quizzes. A site for nationwide literacy programme, Reading Rockets is filled with suggestions for reaching out to every kid in the class. The Children’s Books & Authors segment contains the literacy almanac that offers a roster of holidays and reading festivals with links related to classroom activities, books, learning websites, and writer interviews. The videos for writer interviews are appealing, as kids’ beloved authors share anecdotes of personal experiences from their childhood. If you are looking out for some sort of inspiration, this website has just about everything. Discover reading indices by subject and grade level. It includes a plethora of activities and worksheets, a few of them linked to specific textbooks. The site has recently incorporated interactive texts, which allows young users to read or listen to the content themselves. Include this web source to your aural library to encourage young students to read independently. A subsidiary of Reading Rockets, Start With a Book was formed to encourage children to engage in summertime reading, but it’s equally useful for teachers round the year. The web content is intended for primary school kids and prepared around 24 topics, like dinosaurs, oceans, the night sky, and craft. You may utilize the site to change a read out segment into a chapter that comprises history and science content. Every themed segment contains an index of books, related links and websites for practical activities. You can even draw ideas for writing from the site. The topics take in dinosaurs, craft, the night sky, and cookery. It is an impressive site to send on to the parents for summer vacation and school breaks so they can help kids develop reading habits. Even the reluctant readers find censorship interesting to read. This website talks about the First Amendment and prohibited books besides providing a list of the most disputed books. Let readers pick a book listed in the index and write an argument or challenge for the book on their own. Educator and writer Jim Trelease maintains an online anthology of information that is perfect for librarians and teachers. Hit the link “Book Lists” for an assortment of fantastic recitation books. The catalog embraces picture books, story books, fairy tales, poems, etc. The site offers page length and graded choices. This web tool is especially great for gathering books related to a theme. You can exhibit different books in your class library. All these websites offer the fundamentals that students necessitate, like help for locating books of choice and questions that assist recall. Additionally, they also link users and books to a broader world. Online discussion and reviews boards present students with innovative perspective of exploring a story. Moreover, classroom art and research assignments aid students to associate fiction with history, arts and science. As a result, you are helping students identify that reaching the final page of the book is just the beginning of learning.